Congratulations to the Wisconsin Senior and Super Senior Participants that advanced to represent the Wisconsin District Midwest Section at the National Championships. 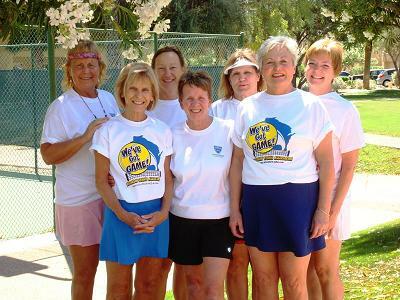 The 2011 Senior Team Event brought 7 of the 14 Districts together to compete in Lansing, Michigan on May 14-15, 2011. Competition was held in the Men’s and Women’s 35, 45 (men only), 50, 55, 60, 65, 70 and 75 (men only) divisions. Congratulations to the Wisconsin Team on their third place finish. The USTA League Tennis 9.0 Super Senior Team acknowledges the Wisconsin Tennis Association support of the team and their travels with this beautiful note. to represent the Midwest Section at the National Championships. who were in our flight. for some reduction in our hotel bills. Everyone gave their best and represented the section well. To view additional pictures of senior excellence, please click here. On behalf of the Wisconsin Tennis Association, congratulations to all.